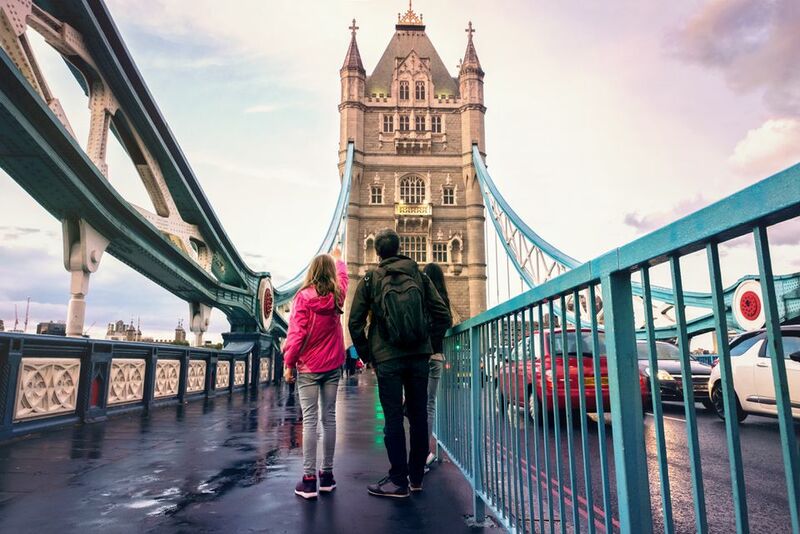 Trips to Europe with kids can be terrific fun and memorable for a lifetime. And trips in Europe don't need to cost the earth. Discover budget-friendly ideas for different cities throughout Europe. Kings and queens, Mary Poppins, Oliver Twist, Platform 9-3/4... the minds of kids are full of snippets about London, which makes visiting in real life all the more fun. Paris has some wonderful sightseeing that kids are already primed to visit: Even young kids know about the Eiffel Tower, and the Notre Dame Cathedral may also be familiar thanks to the Hunchback of Notre Dame story. Also, simply strolling along the Seine is fun. And (dare we mention) there are two terrific theme parks nearby. Start with Paris, of course (with maybe even a side trip to Disneyland Paris) and then go on to rent a vacation home, do a road trip, stay at an all-inclusive Club Med resort (maybe even learn to ski or board! ), and more. The options are endless! The Eternal City is an unforgettable place to visit with kids. Older kids will be thrilled to immerse in the history of ancient Rome, but you don't need to wait until kids are of a certain age. Traveling with wee kids has good points too, in a country like Italy where people love children. Be sure to eat plenty of gelatos -- Italian ice cream! From ice cream walks to riding a water bus, Venice is a fun place to explore with little ones in tow. To visitors, medieval "hill towns" are like storybook towns that time forgot; they did not develop into big cities over the centuries, but rather kept their narrow lanes, massive gates, stone buildings-- perfect for kids' imaginations to travel back in time. Check out Orvieto, Todi, Cortona, and Assisi. Center Parcs has "holiday villages" in northern Europe, with large cottages designed for the whole family, kids clubs, and plenty of outdoor recreation. Each holiday village also has a large domed building that houses a tropical pool (with slides, waves, etc. ), restaurants, shops, etc. Explore the nearby towns and countryside on your own. Hay Hotels: For a rustic and out-of-the-ordinary experience, families can stay in a barn in the German countryside. Kids can see farm life and animals up close; low price often includes a country style breakfast. Some "hay hotels" also offer guest rooms at affordable prices. Family-friendly hostels can be a great way to find affordable lodgings on a Europe trip. Hostels have grown up from the "youth hostel" days; many now serve a diverse clientele and often families can book private rooms with en suite bathrooms. Many hostels are in character buildings -- such as the converted monastery in Nice pictured here, which even offers free babysitting.